Gone are the days, I bought eggs only for baking and to prepare few dishes for my husband. After I started eating "egg", it has become one of the most common items in our grocery shopping list. I am preparing at least a single egg based dish every week and my bookmarking list is also have a separate category for egg dishes. 1) Grind the ingredients given under "For Grinding" with enough or 1/4 cup of water. Keep it aside. 2) Add oil in a heavy bottom pan. Add chopped onion and garlic to it when the oil is hot and not smoking. 3) Saute it for few minutes, till the onion becomes soft. 4) Add Tomato. Continue sauteing till the tomato mushes well and raw smell goes off. 5) When both onion and tomato are done, add the ground masala. Stir well and cook for few seconds. 6) Add water now and mix it well. Add salt to taste. 7) Let it boil. When the gravy starts to boil, Break the eggs and pour to the gravy very carefully. Drop all the eggs one by one without disturbing other dropped eggs. Let it be for few seconds. 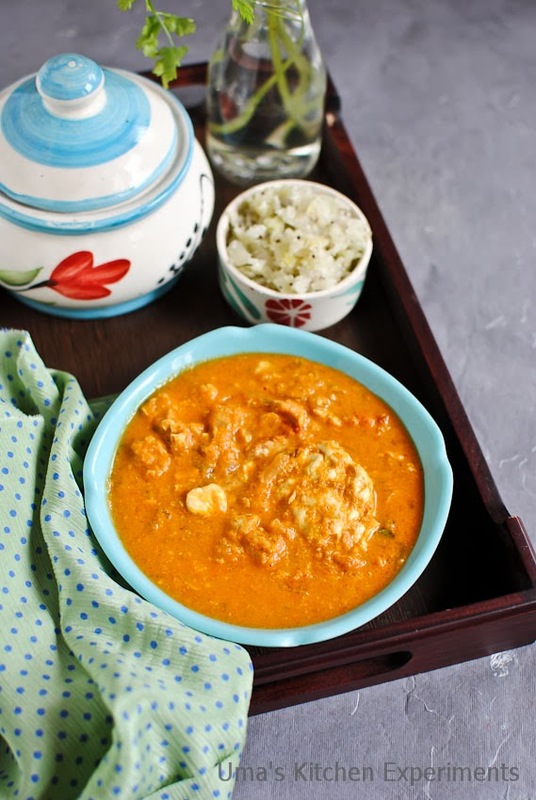 8) Pour some hot curry using a ladle over the dropped eggs to cook the top part of it. 9) When the dropped eggs start to cook, pour the coconut milk. Mix well carefully. Once the eggs are cooked well, tilt and mix it carefully. 10) Continue cooking for few more minutes or until the oil oozes out from the sides of the pan. 12) Serve this dish with hot steamed rice. 1) Adjust the tamarind as per your taste. 2) Adjust the water quantity based on the requirement. Wow...that curry is a sure winner!! Love to try it !! 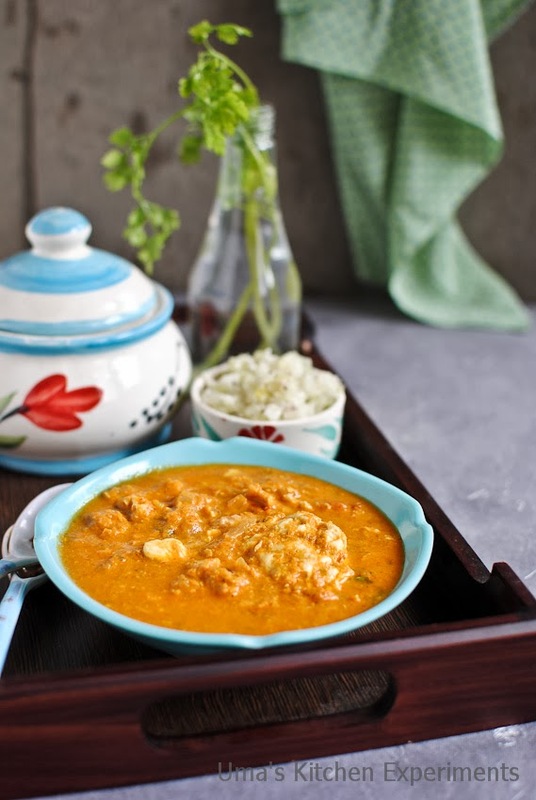 That's a yummy and delicious egg curry, should try it sometime. Nice to see you back with your recipe.Interesting egg drop curry.Sounds really good.I never tasted this in my life time. Very tasty and interesting preparation. Sounds delicious. I add a few chunks of raw potato to the curry just after dropping the eggs in. 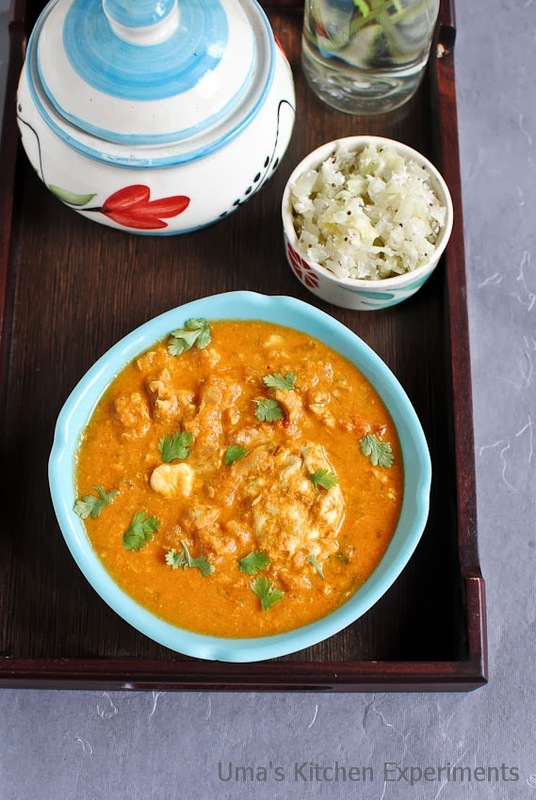 Nice for the kids, especially as the potato gets soft and absorbs the flavour of the egg curry. 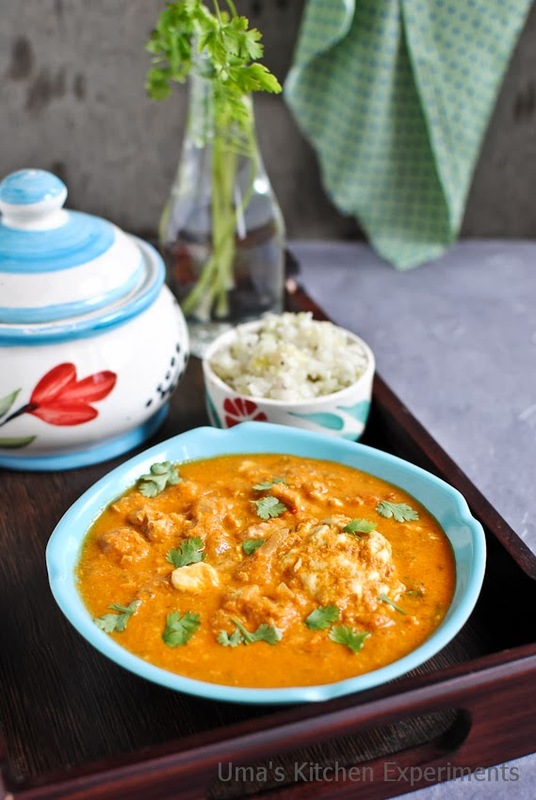 Thank you posting this authentic and wonderful goan dish!